Whether a tour of Bruny Island’s boutique food producers and wineries is your thing or a day trip with the award-winning Pennicott Wilderness Journeys, there’s so much on offer at Bruny Island. Perhaps a quiet coffee at the Jetty Cafe at Dennes Point or a scenic flight with Island Scenic Flights? A casual walk on one of Bruny’s beautiful beaches is also a favourite of ours. We are perfectly located with easy access to the Huon Valley Touring Route, also know as the Huon Trail. The area boasts lush rolling hills, wineries, funky little cafes, stunning mountain peaks, forests, beautiful beaches and more. We encourage you to explore the region and all of its little hidden treasures! The Tasmanian Museum & Art Gallery, or TMAG as you may hear it called, is certainly worth a visit. 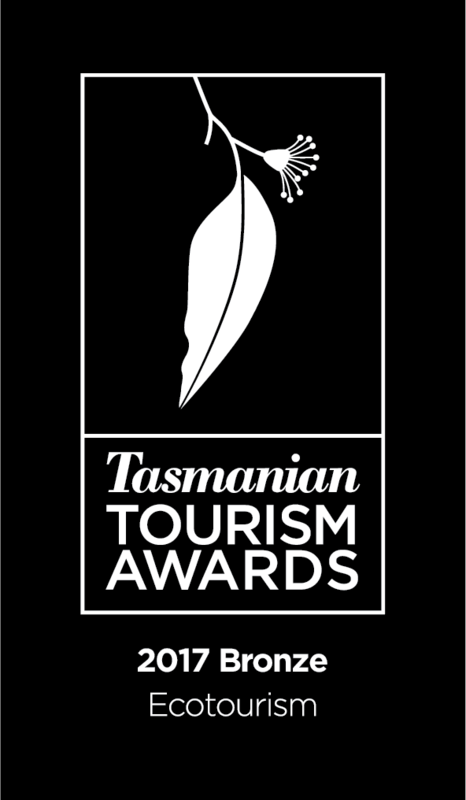 It’s located in a beautiful sandstone building between Davey and Macquarie Streets in the centre of hobart, just a short distance from the waterfront. TMAG is full of interesting and exciting Tasmanian exhibits. Entry is free. The Hobart Red Decker Bus is a fun and interesting way to see the city of Hobart from a different angle. There are multiple ticket types that are well suited to sightseeing and the tours include excellent interpretation. Just a short drive away is Kingston Beach Golf Club, Australia’s southernmost 18-hole championship course. Visitors and green fee players are welcome to play here. The course is open year-round and the Clubhouse enjoys beautiful ocean views. Don’t forget that in summer, we enjoy very long days in Tasmania so you can squeeze in a round in the evening! Kingston Beach is a wonderful spot to take a short beach walk or simply relax and watch the world go by. Access to Kingston Beach is a convenient 15 minute drive from Hobart Hideaway Pods. There are a few great places to grab a bite to eat or a coffee along the beach front. Your accommodation is just 15 minutes drive from the Alum Cliffs Walking Track – a short (approx. 2 hours / 6km return) coastal walk that stretches from Kingston Beach to the Shot Tower on the northern side of Bonnet Hill. Expect an elevation gain of about 110m. Dogs are allowed. The Apple Shed is around 25 mins drive from Hobart Hideaway Pods. Willie Smith’s Organic Apple Cider is available at The Apple Shed’s Ciderhouse, along with entry to the Apple Museum and a boutique providore. Look out for regular live music and some of the best apple cider in Australia. Hobart’s weekly market kicks off at 8:30 AM every Saturday and finishes at about 3:00 PM. It’s a great place to find a few gifts for friends and family, including Tasmanian art and crafts and of course, gourmet Tasmanian food. Remember that Salamanca place is lined with great little cafes, pubs and restaurants so if you need a rest, there are plenty of options! Hobart is an attraction in itself, with it’s year-round festivals and events as well as a vibrant restaurant scene and plenty of attractions. Keep an eye out for Dark Mofo in June, the Taste of Tasmania between Christmas and New Year and the Festival of Voices in July. We also recommend taking the time to stroll the streets of Hobart to take in the beautiful colonial architecture. Hobart Museum of Old and New Art (MONA) is surely one of the world’s most amazing art museums and is not to be missed during any visit to Hobart. Allow at least three hours to explore the museum and we recommend taking the time to enjoy a glass of wine and a bite to eat in the MONA Wine Bar to complete your experience. It takes about 40 minutes to drive to the Mt Wellington pinnacle and take in some of the best views in the state. If you’re feeling adventurous, there are plenty of day walks options available from the Pinnacle and from The Springs. Remember to take a jacket because it can be chilly up here on any day of the year! After snowfall, road status can be checked here. Walk amongst the treetops at the confluence of the Huon and Picton Rivers when you visit one of Tasmania’s favourite attractions. 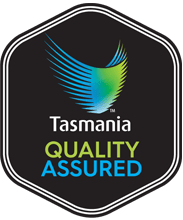 This is a great experience as part of a day tour of the Huon Valley and allows a view of pristine Tasmanian forest that you won’t find anywhere else. The Airwalk has a fully licensed cafe with a balcony that makes for a very pleasant spot to sit on a sunny day. This is one of the best waterfalls in Tasmania to visit. It’s located at the base of Mt Field and the gentle walking track to the waterfall starts from the Mt Field National Park Visitor Centre. Take a camera and enjoy! With beautiful views over Hobart and the mouth of the River Derwent, the Mt Nelson Signal Station offers a fascinating insight into the the history of communications in the early colony in Tasmania. The Signal Station Brasserie is a wonderful place for lunch with a view too! The Hastings Caves State Reserve offers a number of options, including relaxing in the warm waters of a thermal springs pool, exploring the inside of a large cave and wandering in the lush surrounding forest. It’s worth noting that the thermal pool and the gentle trail that takes you through the surrounding forest are both wheelchair accessible. Port Arthur is one of Australia’s most celebrated cultural and heritage icons. Explore the ruins of one of the harshest penal settlements of the time and lose yourself in this fascinating part of Tasmania’s colonial history. Photo: Port Arthur Historic Site. You don’t have to go anywhere to relax on the deck of your Pod, take in stunning views of the D’Entrecasteaux Channel. Take the time to listen to and watch the native birdlife while absorbing the rural setting. Wallabies can be seen grazing in the evenings, and if you stay up a little later, the star gazing is incredible and you may even see the Aurora Australis (The Southern Lights).